Twenty-three-year-old Judd Nix, an unpaid intern at the most prestigious personal management firm in country music, gets the opportunity of a lifetime when his boss and mentor, Simon Stills, offers him a temporary position an opportunity that may just cost Judd his life. A 30-year veteran as an artist manager on Nashville’s Music Row, Stuart Dill has helped guide the careers of such esteemed talent as Minnie Pearl, Freddy Fender, Dwight Yoakam, Jo Dee Messina, Rodney Crowell, The Wreckers, Sister Hazel, Laura Bell Bundy, Point of Grace, Billy Ray Cyrus, and many others. He has also been involved in organizing serveral music festivals including WestFest (Copper Mountain, CO) Texas LIVE (San Antonio, TX) Country Gold (Kumomoto, Japan) and Music & Miracles Superfest (Auburn, AL). Today, Stuart runs The Office of Engagement for Vanderbilt Health in Nashville, where he oversees marketing and engages high profile personalities in sports and entertainment to give of their time, gifts and talents to support the nationally ranked medical center. He has also been a longtime member of the Country Music Association, Academy of Country Music and Leadership Music. Stuart and his wife, Maral Missirian-Dill, live in Franklin, Tennessee and have two grown children. Twenty-three-year-old Judd Nix, an intern at the most prestigious personal management firm in country music, gets the opportunity of a lifetime when his boss and mentor, Simon Stills, offers him a temporary position—an opportunity that may just cost Judd his life. In a landscape where record companies are under siege, stuck in the old order of physical CDs and antiquated business models, Simon’s young, electrifying star, Ripley Graham, has emerged as the best-selling digital artist in music history. Meanwhile, Ripley’s label, Galaxy Records, is preparing a secret merger agreement that would create the largest record conglomerate in the world. Trouble arises when rumors spread that Ripley and Simon are withholding Ripley’s new album in hopes of renegotiating his contract. When Simon and Judd are shot on the famed Grand Ole Opry stage during the filming of Ripley’s new music video, no one is more upset than Ripley—especially as everyone assumes the shots were meant for him. While Simon’s life hangs in the balance, Judd seeks help from Megan Olsen, Simon’s right hand and Ripley’s day-to-day manager. The two set off on a high-powered chase to discover the real motive behind the shootings and spare Ripley from a second murder attempt. As an artist manager, Stuart was smart, engaging and a brilliant listener. He saw and heard the nuances that others missed and in the fantastical job of advising artists this is a high art form. In his transition in mystery author, he has not missed a beat. I can hear and see the characters through his compelling dialog. Kerry O'Neil – Voted a top business manager in the U.S. by Billboard Magazine. 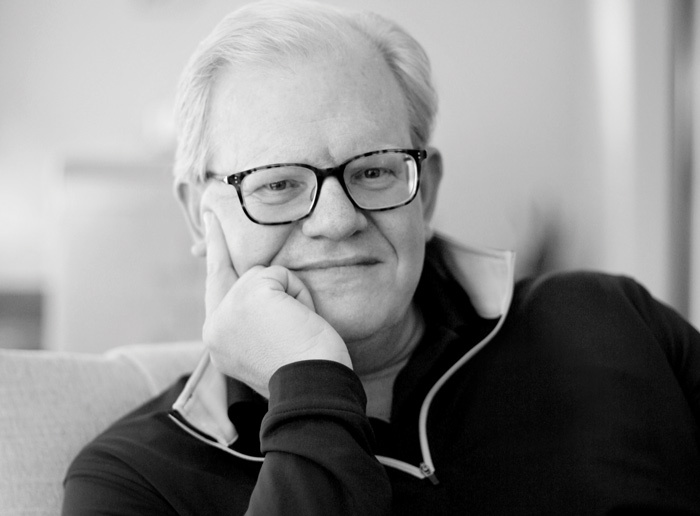 Co-founder of multi-Grammy winning indie publishing company, Big Yellow Dog Music. When I found Murder on Music Row I could not believe my luck. Loved the characters, the story, the twists, the ‘wait what’ moments, and the Nashville locations… put this book on your list. Butch Waugh – Former Executive Vice President of Sony Music Nashville – who directed the careers of Carrie Underwood, Jake Owen, Brad Paisley, Miranda Lambert, and Kenny Chesney among others. Children of all ages will enjoy seeing the story unfold. Even the youngest child will be captivated by the colorful images and words on each page in this brilliant BlueSky book, which is cleverly crafted by Jessie Cleveland and creatively illustrated by Donna Duchek. The Greatest Creation shows the beginning of all things and illustrates the great care, purpose and involvement of a loving God. Jessica is a follower of Christ, a wife, and a mother. It is her goal to share the Bible— to share truth—with children in a way that changes their lives from the very beginning. Her background? A lifetime of sharing what is seen through art, design, and photography. Donna has spent her life creating images for individuals and businesses through illustration, collage, photography, design, and prototypes. Her eye for detail and ability to “tell a story” with images and words shines through. She enjoys problem solving and has three patents to prove it. If Donna created it, jump in a get ready for a visual adventure. You will be glad you did. Will and Wisdom books follow the adventures of a strong-willed ten-year-old boy named Will, and his best friend, Wisdom, a Bible scholar who also happens to be a fun-loving guinea pig. Each story in the book series features a timeless virtue and highlights Godly principles for children of all ages. Each Will and Wisdom story follows the adventures of Will, a strong-willed ten-year-old boy, and his best friend, Wisdom, a fun-loving guinea pig and Bible scholar. Together, the two explore timeless virtues and learn valuable lessons. 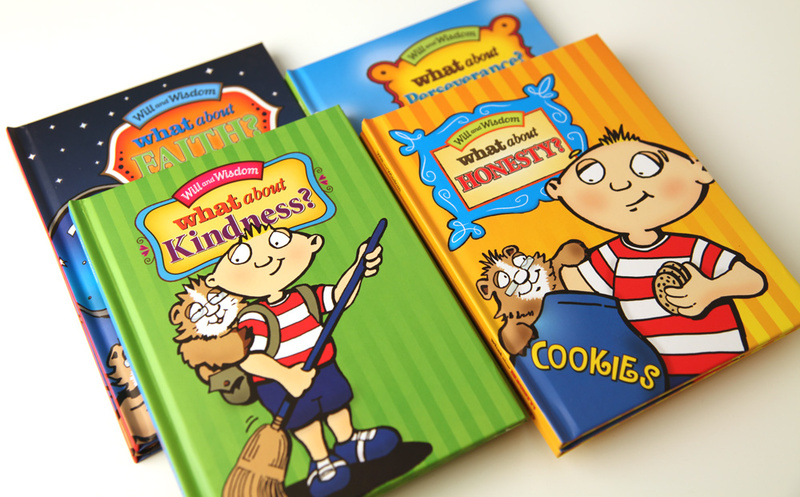 Suitable for all ages and presented in both English and Spanish, Will and Wisdom books deliver rewarding messages with vibrantly colored illustrations. Looking at the stars one night Will contemplates the wonders of universe and its Creator- God. When Will asks Wisdom the ultimate question, "When we die, how can we be sure we'll go to Heaven?" Wisdom explains the Gospel. Will's hunger compels him to eat some cookies before dinner even though he knows he shouldn't. When he has no appetite at dinner, Will's dad asks "why?" Will wonders if telling the truth is his best option. When a group of boys taunt an old man who lives down the street - Will decides to befriend the troubled man and show him true kindness. It's the first day of soccer practice and Will's coach wants to see who can run a mile. Will finds out if he has what it takes to "keep going." Wisdom is on hand to provide encouragement. While taking care of some last minute shopping at the Mall, Will and Wisdom encounter a boy with a long wish list for Santa. With a short story, Wisdom explains the true meaning of Christmas to the confused little boy.